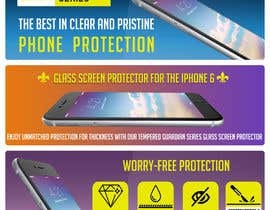 The contest is to create four components to an infographic for an Amazon listing [login to view URL] Each component will be vertically stacked one above the other and 970 x 300 in dimensions. Before proceeding, take a look at the existing infographic, its text, and the design elements which went into it. Please use the design elements in the current one. An example infographic can be found in the "From the Manufacturer" section of this listing from another Amazon seller: [login to view URL] Note here how it is comprised of 970 x 300 sections. This is a format sample, not a design example that we are interested in. 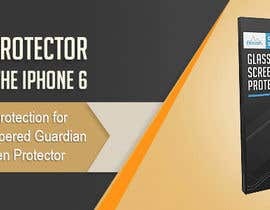 The best in clear and pristine phone protection. 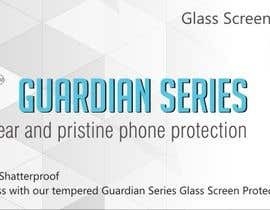 Enjoy unmatched protection for thickness with our tempered Guardian Series Glass Screen Protector. (Note: Look at the attached images which show product features--borrow these features). 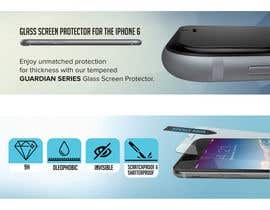 We encourage going above and beyond and will be looking for submissions which show the screen protector's capabilities as well as scenarios it would be used in. Attached are the photos from the listing and logos, additional photos, and our logo (which you can change the color for per the theme).